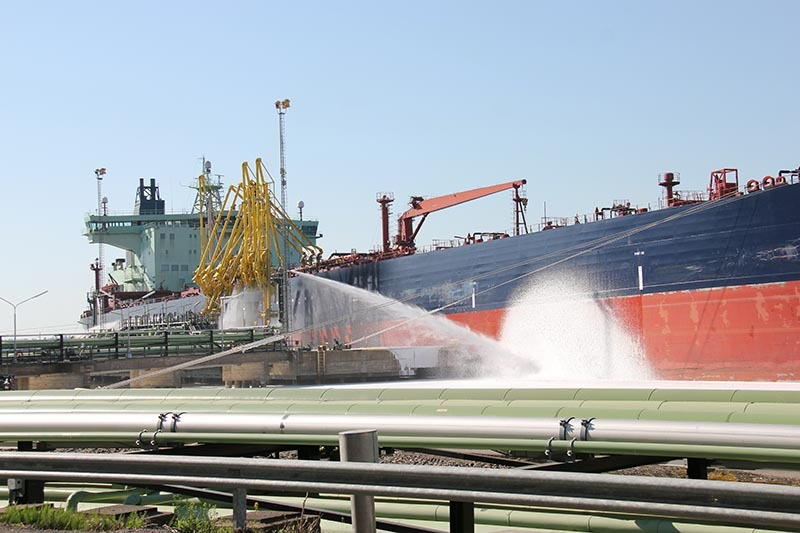 During loading of extremely flammable fuel into a tanker in the refinery loading bay there’s a breakdown in the system causing a fuel leak to the dock area and to the sea. 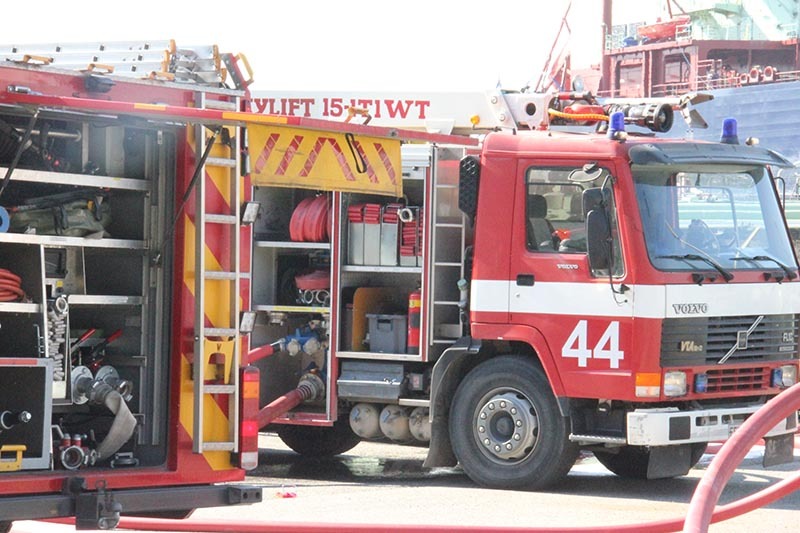 The leak causes a fire. 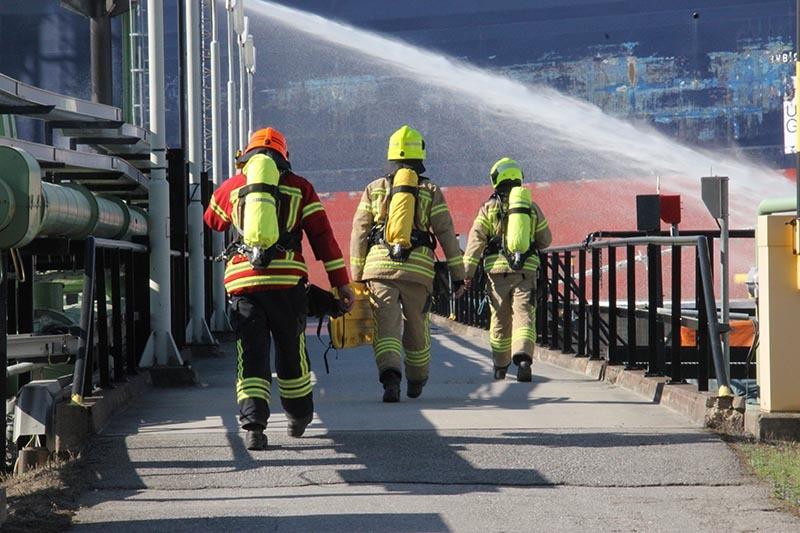 The southwest Finland Emergency services begin to fight the fire. 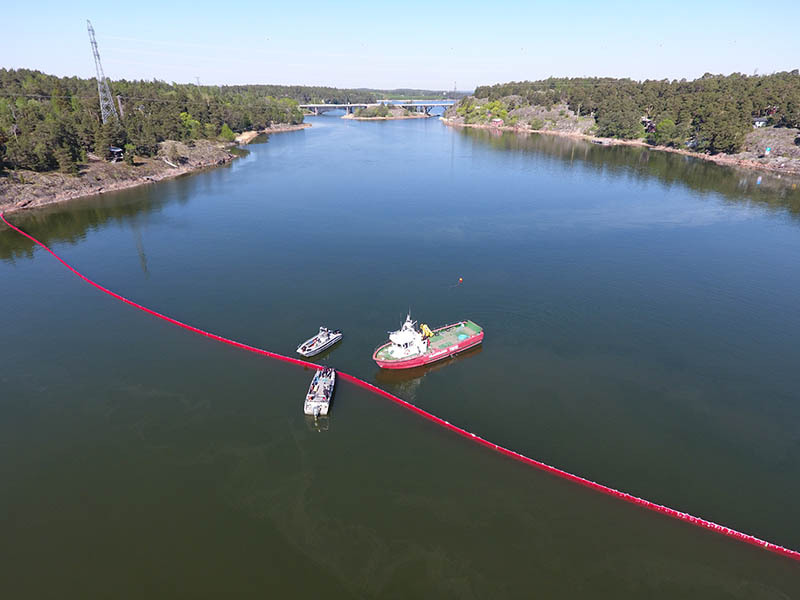 At the same time they start oil spill recovery procedures together with the Port of Naantali and Neste. The waterway to Naantali is closed from traffic. 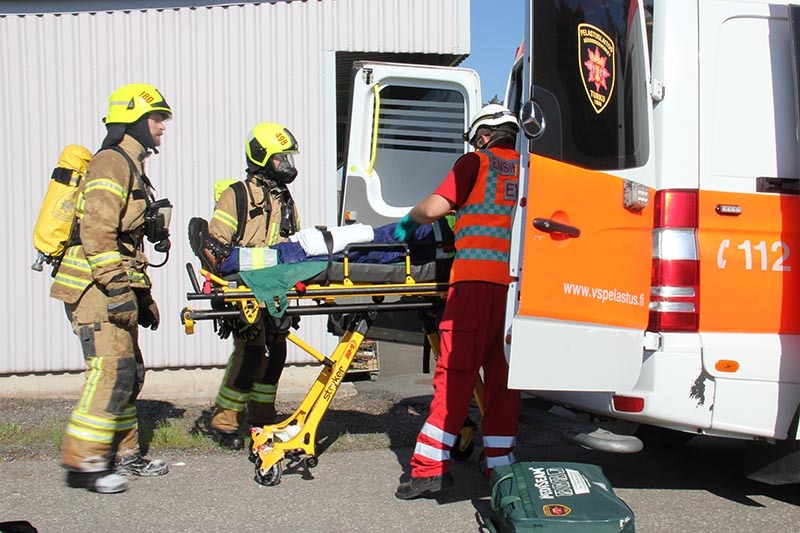 A few persons working on the loading bay get serious burns and they have to be taken into the hospital. 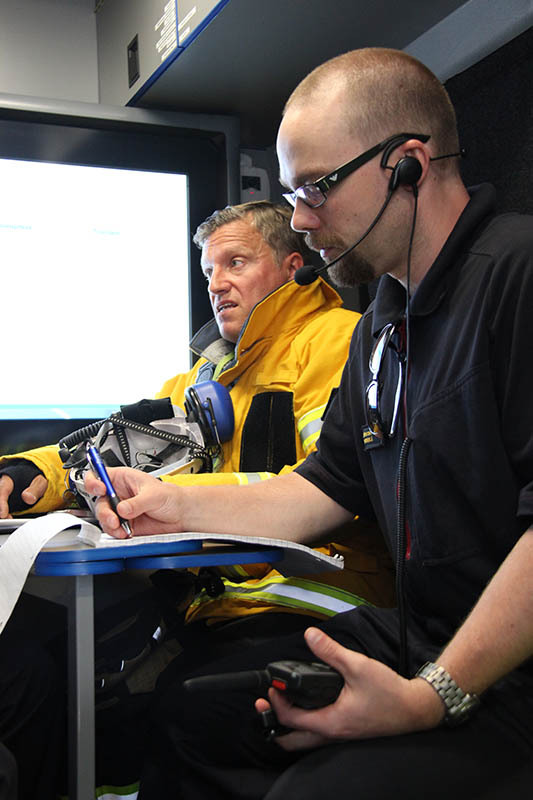 One person was rescued from the sea. 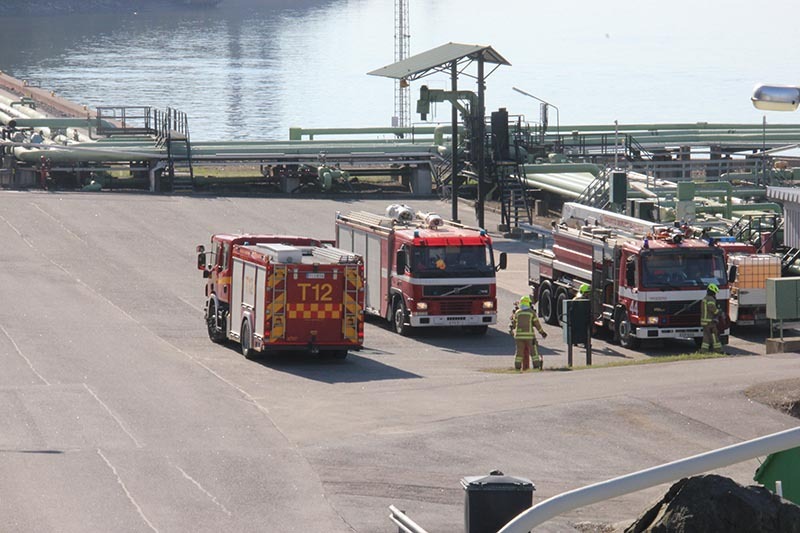 The exercise was held at the Neste Naantali refinery 16 June 2018. 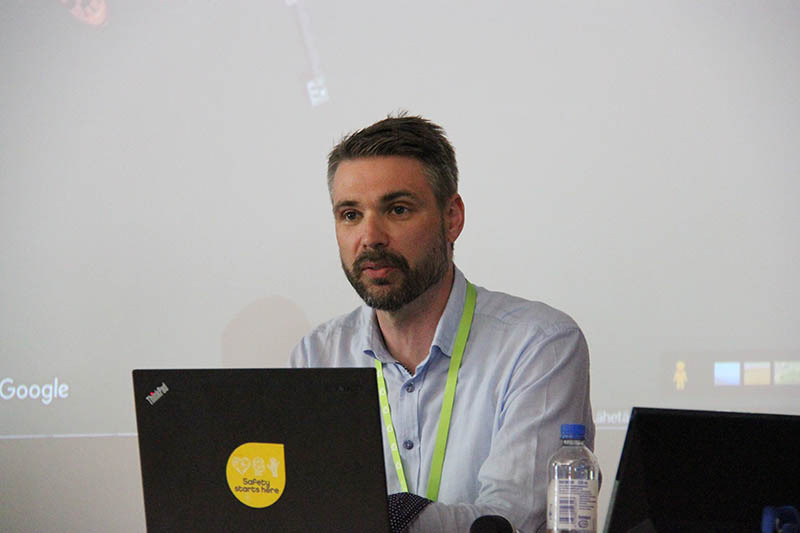 HAZARD Project Manager Jarmo Malmsten is ready in the challenging weather conditions: +28 degrees! 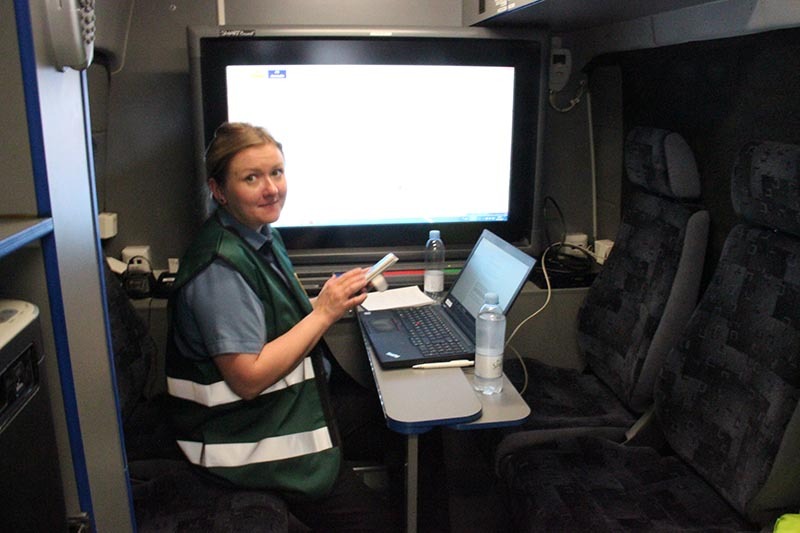 Creating common situational awareness at the command centre. 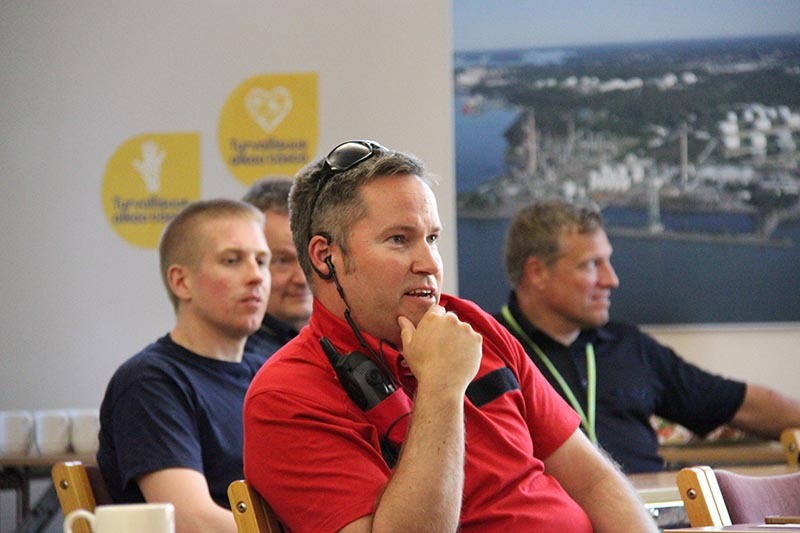 Chief Fire Officer of Neste Timo Viitanen in the yellow coat. 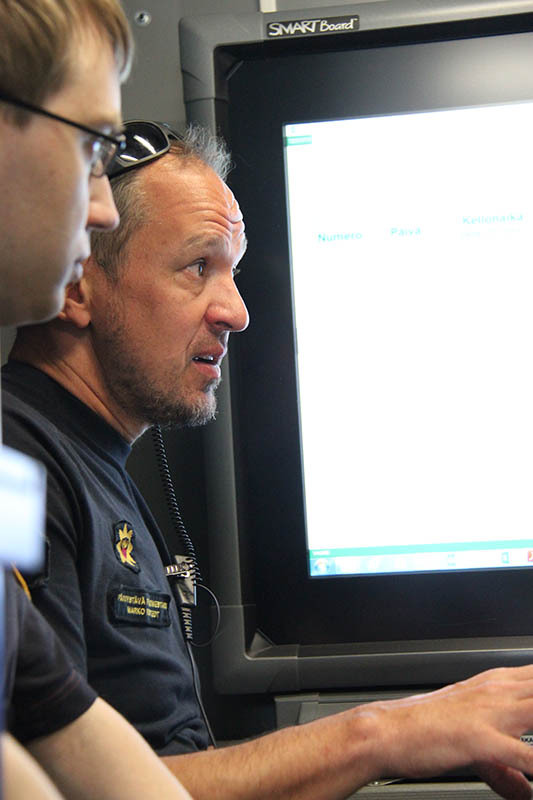 Fire Officer Marko Rostedt was leading the operations in the exercise. The Naantali straight was oil boomed. 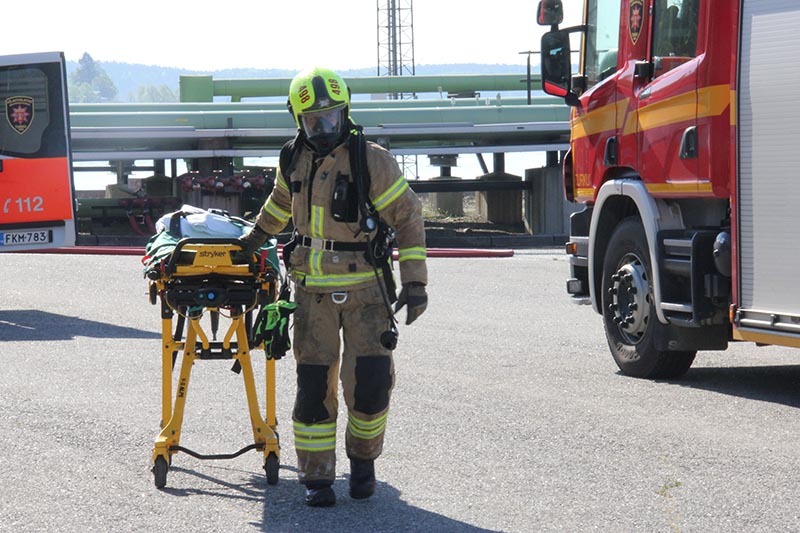 Photo: Southwest Finland Emergency Services. 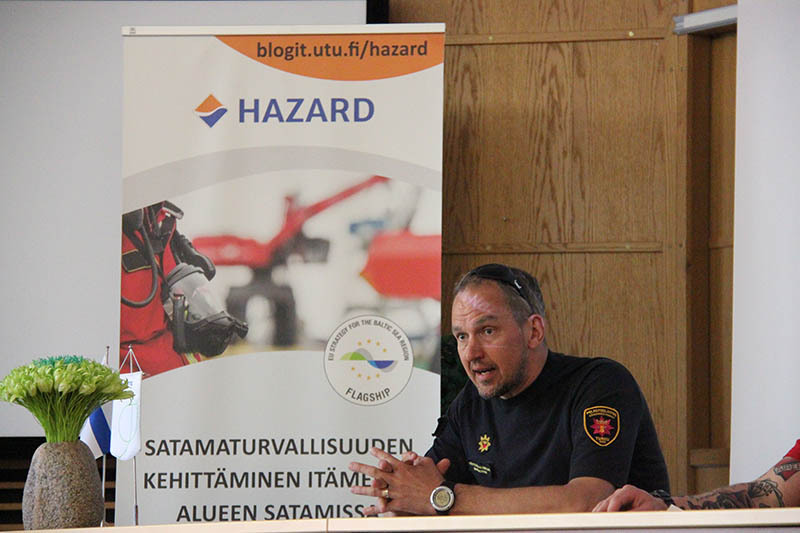 Rehearsal press conference about the accident, moderator Mika Lankinen, Southwest Finland Emergency Services. 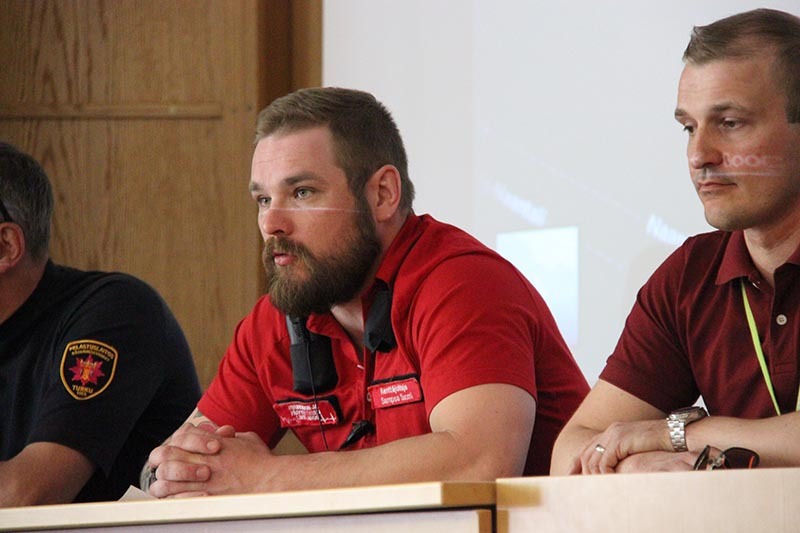 Marko Rostedt from the Southwest Finland Emergency Services explained the incident to “the media”. Mr “Mark Spencer from BBC” was asking some tricky questions. 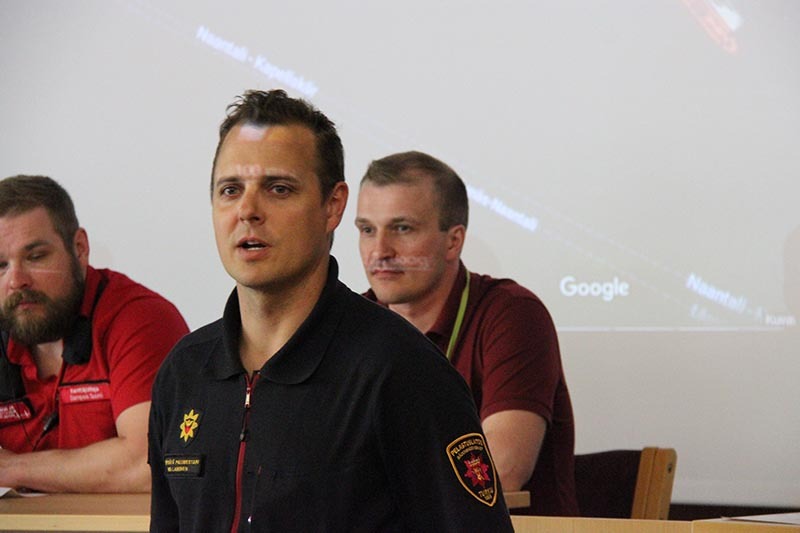 Sampsa Suomi from the Emergency Medical Services answered the questions, together with Antti Joki from Neste Corporation. 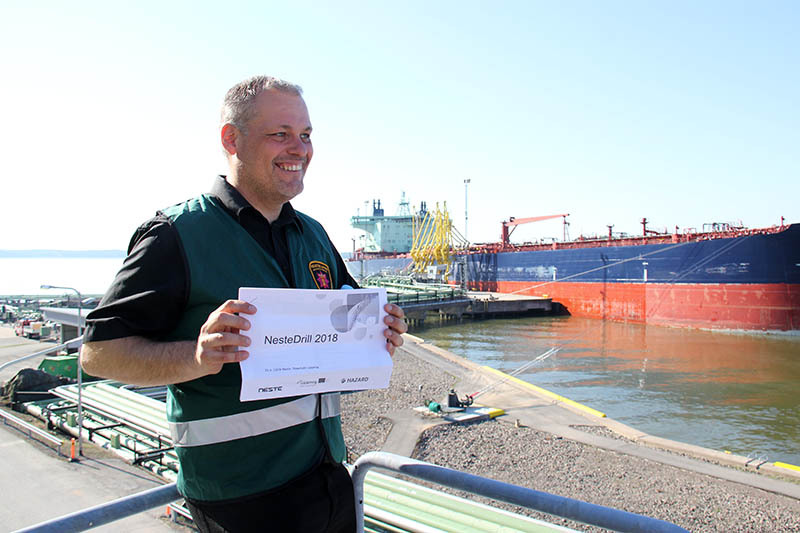 Neste Port Manager Kimmo Vahanto at the rehearsal press conference. 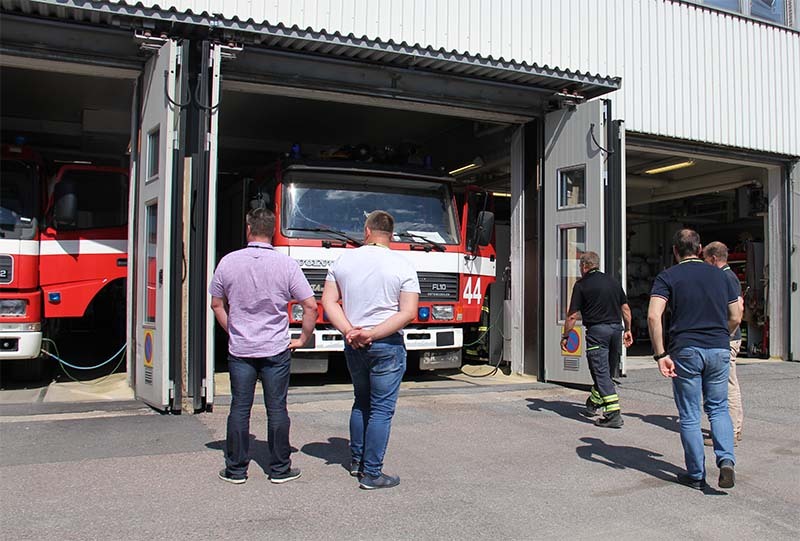 After the exercise the HAZARD partners from Klaipeda had the chance to visit the fire station in Neste. 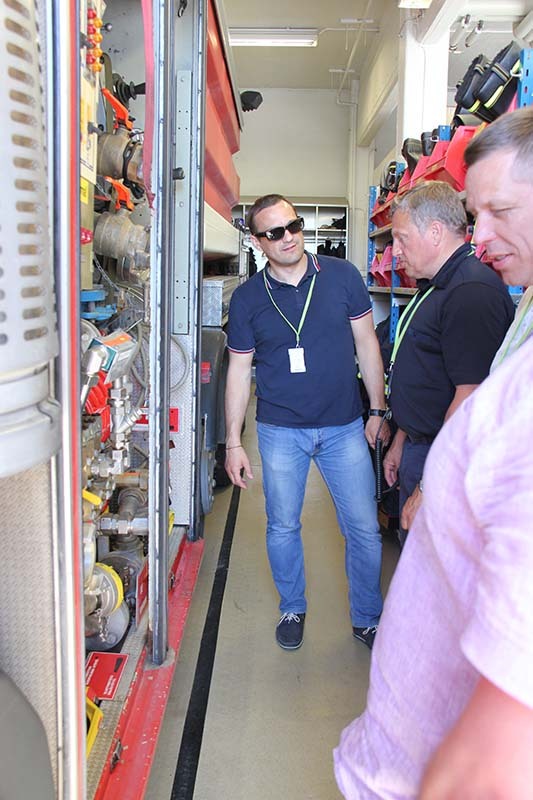 Timo Viitanen, Chief Fire Officer of Neste, was showing the equipment for Vaidas Masiliuskas, Valdas Kundrotas and Marius Garbenis from the Fire and Rescue Board of Klaipeda County.